Hugh Broughton is the founder of Hugh Broughton Architects. He was educated at Edinburgh University and set up his practice in 1995 in west London. Early work by Hughʼs practice was characterised by sensitive designs of calm and flowing spaces animated by meticulous attention to detail and moments of drama. Projects included new visitor facilities at Blair Castle in Scotland and the British Councilʼs South East Asia headquarters in Kuala Lumpur. More recently the practice completed the award winning gold copper alloy shingle clad East Wing of Maidstone Museum in the south of England. 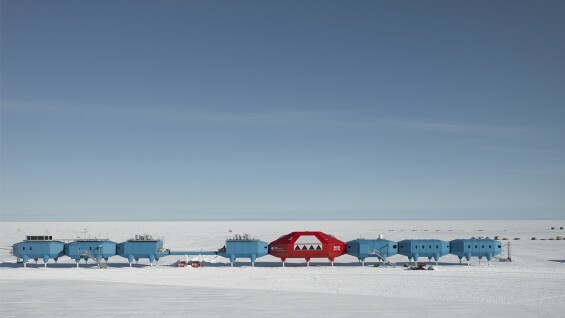 In 2005 the practice won the international competition for the design of a new British research station in Antarctica, Halley VI. This extraordinary project responds to awesome environmental challenges to create the first fully relocatable research base in the world and has led to other commissions in Polar Regions, most notably for an Antarctic research station for Spain in the South Shetland Islands and the design of an atmospheric laboratory for the USA on the Greenland Ice Cap. As a result Hugh is now considered one of the worldʼs leading designers of research facilities in the Polar Regions. Alongside their extreme portfolio, the practiceʼs current workload includes an art gallery, a training centre for lawyers and an archive and visitor facilities for the Foundation of the acclaimed artist, Henry Moore.